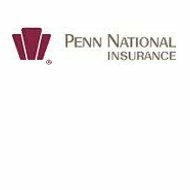 Pennsylvania National Mutual is a property and casualty insurance company based in Harrisburg, Pennsylvania, and also known as Penn National. The company markets its products in nine states through a network of over 750 independent insurance agents. Pennsylvania National Mutual sells many different insurance products to both private individuals and businesses. They however, do not sell health insurance. The company has received an A.M. Best rating of A- (Excellent) for their financial stability, up from a B++ a few years ago. Find an insurance company in your area that sells health insurance products. Click here and enter your zip code for a list of companies and policy quotes. Pennsylvania National Mutual was founded in 1919 by a group of farmers who were unhappy with the high cost of Worker’s Compensation insurance, which they were now required to purchase in the state of Pennsylvania. Being a mutual company, Pennsylvania National operates for the benefit of policyholders, which remains true today. The company has grown a great deal since the early 20th century and now offers a large variety of insurance products. They believe in the use of independent agents to sell their products. These agents are based in local communities and work for the client to get them the best rate possible. Clients of Pennsylvania National can report claims online and over the phone. Auto Insurance, Homeowner’s, and Business Claims that are considered nonemergency and non-workplace injury claims can be reported online. All other claims can be reported to a local agent or reported by calling (800) 766-2245 any time 24 hours a day. The exception is for claims related to workplace injuries, which should be reported by calling (800) 374-4990. Pennsylvania National Mutual uses independent insurance agents in all of the states for which they market their products. For agents who wish to become a Penn National agent, you can visit the company’s website to determine if the company is seeking an agent in your region. Pennsylvania National prefers to support current agents in a region versus enlisting new agents; therefore, if the company currently has an agent in your region, you may not be able to become a Pennsylvania National agent at the present time. Find a health insurance company in your area. Get a list of health insurance quotes instantly simply by clicking here and entering your zip code.